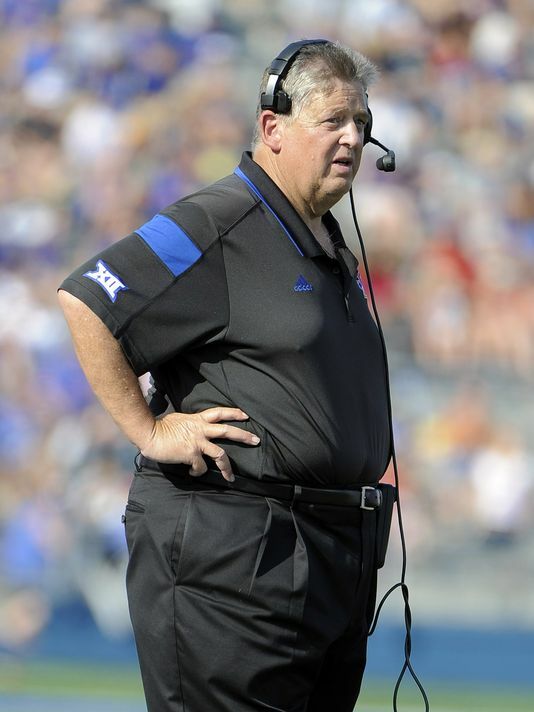 Football lifer Charlie Weis was fired by the University of Kansas this weekend after starting off his career in Lawrence with six wins and twenty-two losses. Not that Kansas is an easy place to win football games but that’s clearly not the record they were hoping for when they hired the man. Weis is an easy target (insert weight reference here) which is probably what prompted his name to appear on Twitter’s trending list shortly after his dismissal. Here were some of the best Tweets from a Sunday afternoon that found Weis unemployed but certainly not wondering where he was going to find his next paycheck. Charlie Weis went from leaving the NFL as a 3x Super Bowl champion OC to getting fired by Kansas. 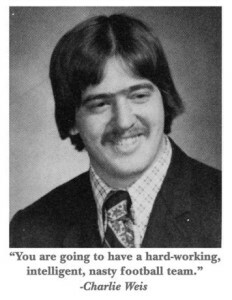 Charlie Weis has a decided schematic advantage in collecting unemployment benefits. Wait Charlie Weis coached at Kansas? 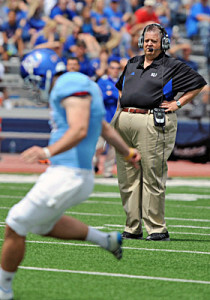 The best thing Charlie Weis has ever done is allow this photo to be taken. Charlie Weis went 6-22 in two seasons as head coach at Kansas, which probably makes him the 2nd or 3rd winningest coach in school history. Charlie Weis has a decided agent advantage. Charlie Weis is now getting paid by two universities NOT to coach their football teams. 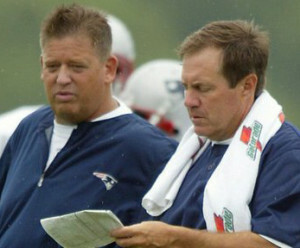 Charlie Weis for Oakland Raiders head coach. There’s literally no down side. Charlie Weis has made $65 million in two terrible coaching stints. I’m doing it all wrong. This entry was posted in Featured, Pigskin and tagged Charlie Weis, Kansas Jayhawks, Notre Dame, Oakland Raiders, Twitter by Chris Humpherys. Bookmark the permalink. Charlie Weiss gets fired but yet his weight steadily increases . There’s got to be a message and a moral to this all . Fat wallet or a fat @ss ? What I don’t get is didn’t this guy already have gastric bypass surgery? Is he just eating cheeseburgers on top of that? I’m pretty sure the doctor gave him some health and dietary guidelines. Did he just toss that paper aside along with his ability to win football games? Charlie will make more money not coaching this year than Nick Saban will by coaching. We all could use an agent like his, huh, Coach.